In case you missed it! 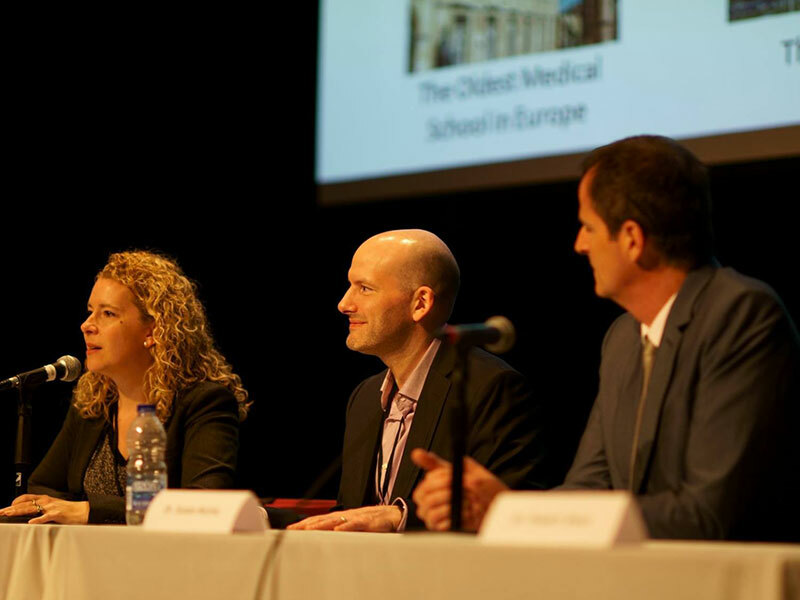 The second edition of the International Behavioural Trials Network (IBTN) Conference built once again on its strengths: knowledge-sharing, discussion, and networking. Attendees from Canada, the US, France, Ireland, the UK, Slovakia, and Brazil gathered in Montréal for a 2 ½-day event that featured a cocktail reception and poster session, plenary presentations, and a full day of workshops. Dr. Lynda Powell kicked off the conference on Thursday, May 24 with an opening talk that served to remind attendees of the IBTN’s mission statement: to contribute to the development and implementation of higher-quality behavioural trials. The cocktail reception continued with the presentation of 45 posters that stimulated lively discussions among attendees. Thanks to the generosity of two of our sponsors, Nicola McCleary (Ottawa Hospital Research Institute, Canada) received the Roxon Award of Merit for the Best Poster Presentation and Rosemary Twomey (University of Calgary, Canada) received the Astellas Award for Best Cancer-Related Poster Presentation. Congratulations to our award winners! On Friday, world-renowned speakers captivated attendees with their engaging plenary talks covering broad issues in behavioural interventions (slide decks available here). Their expertise and perspectives gave attendees insights into real world problems related to the design, optimization, and implementation of behavioural trial research. Attendees especially appreciated the ample discussion time planned after each session which gave them the opportunity to talk with research leaders and share their own ideas. The diverse workshop topics appealed to the wide range of attendees. From an introduction to the “nuts and bolts” of behavioural trials to more advanced workshops on quality control, the use of artificial intelligence, and n-of-1 trials, both novice and seasoned participants left the Saturday workshops with new thoughts and tools to design better behavioural trials (slide decks available here). The Conference closed with an invitation to delegates and members of the public to attend two public lectures on Saturday evening. In the French public lecture, presented in collaboration with the Université du Québec à Montréal’s Chair in Behavioural Medicine, emergency physician and psychologist Dr. Richard Fleet spoke about the role of emotions and stress in the development of chronic diseases. The English lecture, presented in partnership with the Canadian Obesity Network, featured a panel of patients who shared their experiences surrounding obesity stigma in healthcare. Conference proceedings will be published in Annals of Behavioral Medicine. The 2018 IBTN Conference was made possible thanks to the generosity of sponsors and partners.